Dipesh Chakrabarty - the Lawrence A. Kimpton Distinguished Service Professor of History and South Asian Studies at the University of Chicago, on Thursday, March 5th, 2009 at 5.3o pm at the Dapartment of History, ul. św. Marcin 78, 61-809 Poznań, room 118, will give a lecture: "From Subaltern Studies to Provincializing Europe : Some Postcolonial Reflections on History". The lecture will seek to provide a genealogical account of the impact of postcolonial criticism on historiography by the discussing the career of the Indian series Subaltern Studies and the many mutations it has undergone since its inception in 1982.
zob. tekst wystapienia opublikowany jako: Dipesh Chakrabarty, "Od Subaltern Studies do Provincializing Europe. 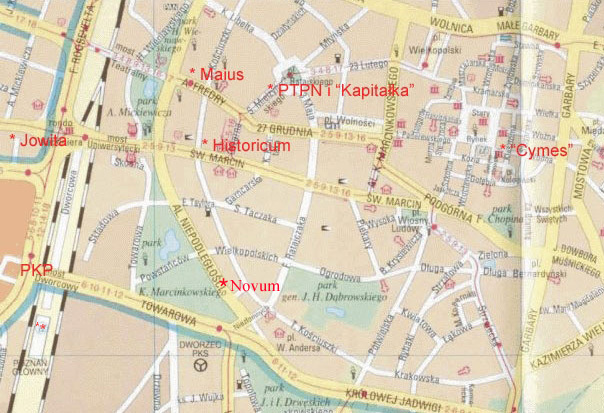 Kilka postkolonialnych refleksji na tenat historii" [.pdf], przel. Emilia Kledzik. Porownania, nr 6, 2009: 263-270. Dipesh Chakrabarty is the Lawrence A. Kimpton Distinguished Service Professor of History and South Asian Studies at the University of Chicago. He a a Fellow of the American Academy of Arts & Sciences and an Honorary Fellow of the Australian Academy of the Humanities. He also holds visiting appointments with the Research School of Humanities at the Australian National University and with the School of History at the University of Melbourne. His publications include Provincializing Europe: Postcolonial Thought and Historical Difference (Princeton University Press, 2000; new edn., 2007), Habitations of Modernity (The University of Chicago Press, 2002), and Humanism in an Age of Globalization (Center for Contemporary Culture, Barcelona, 2008). He is also the co-editor of several publications including Cosmopolitanism (Duke University Press, 2000) and of a special issue of Public Culture called "The Public Life of History" (2008) He is a founding member of the editorial collective of Subaltern Studies , a co-editor of Critical Inquiry, and a founding editor of Postcolonial Studies. He is currently a Fellow with Wiissenschaftskolleg zu Berlin. "Museums in Late Democraties." Humanities Research, vol IX, no. 1, 2002. "Magic and the Problem of Belief in Subaltern History"
Ewa Domańska „Historiografia insurekcyjna” [.pdf]. Literatura na świecie, nr 1-2, 2008: 355-368. Leela Gandhi, Teoria postkolonialna. Wprowadzenie krytyczne. Poznań: Wydawnictwo Poznańskie, 2008.